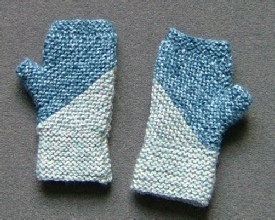 Mathemagical Mittens was first published in 1998 and uses Woolly Thoughts methods to create infinitely variable mittens to fit anyone. 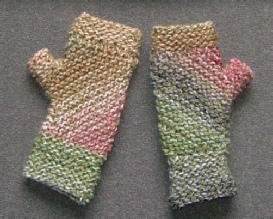 It was updated in January 2010 to include fingerless mittens/wristwarmers, which have become so popular in the intervening years, and which I wear myself every day (for medical reasons). 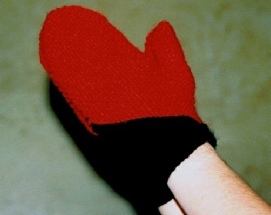 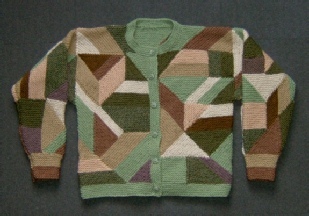 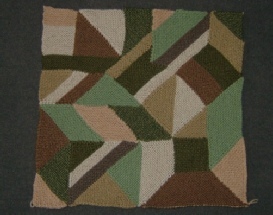 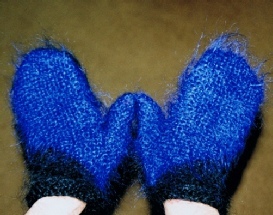 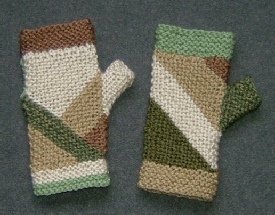 This is the photo from the cover of the original booklet and two similar pairs of mittens made in very different yarns. 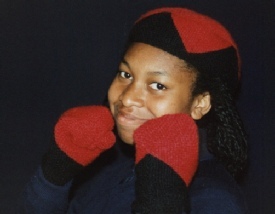 See Octohats for the matching hat. 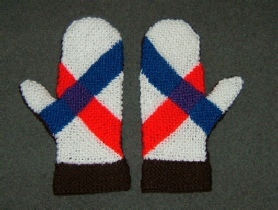 They have the flag of Lovely on one side and are plain on the other side so he could decide which way to wear them and whether to wave the back or front of his hand to his subjects. 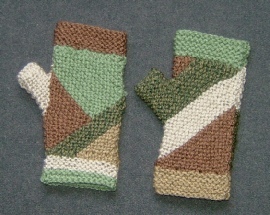 These match a piece that started out as a Conglomeration cushion and became a jacket. 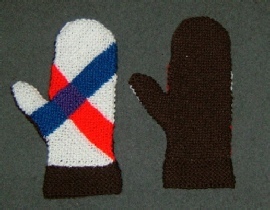 The photos show the front and back of the same mittens.